The process of preparation of Lviv for Euro 2012 disappointed local entrepreneurs. The authorities promised to create new jobs in the city, however foreigners receive and carry our orders – the “Lwiwska Poszta” newspaper writes. Over the last three years there has not been job offers for construction workers in Lviv. Locals people do not have work and the stadium is built by a contractor from Donetsk – the articles points. The newspaper quotes the head of the local company producing chairs and car seats Bogdan Szewciw who complains that the seats for vehicles destined for Euro 2012 the local bus manufacturer LAZ will buy in Poland, and not from local businesses. – After all, we produce more than 70 types of seats; our products are also bought foreign customers and, in addition, our company is located just 1000 meters from the factory LAZ – complains Szewciw and adds that in this way, the city lost the opportunity for residents to create additional hundred places of work. According to experts, Ukraine lacks state support program for domestic manufacturers of buses and spare parts for busses – writes “Lwiwska Poszta. – The Ukrainian market of coach production is vulnerable to the expansion of used buses from abroad, especially cheap vehicles from China – says Stanisław Wojtkiw, main designer of the scientific-technical center “Autopoliprom”. In the opinion of Wojtkiw the development of domestic production will be affected by private interest of many state and commercial structures to purchase products only from foreign companies. Ukrainians missed opportunity not only in the case of vehicle seats – stresses the newspaper. According to the head of the Lviv department of Euro 2012 Ołeh Zasadny, Lviv carries out negotiations on the purchase of stadium seats with a foreign manufacturer. 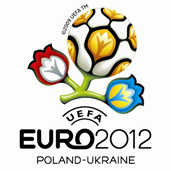 Lviv, Kiev, Donetsk and Kharkov will host the matches of final tournament of the European Football Championships in 2012.